The War Child DLC for This War of Mine has raised enough money to help some 350 children displaced by war. 11bit says that the funds raised has provided psycho-social support to recover from trauma, child friendly spaces to make sure War Child can reach a child before someone else does, informal education: school fees, livelihood support, teacher training and others. 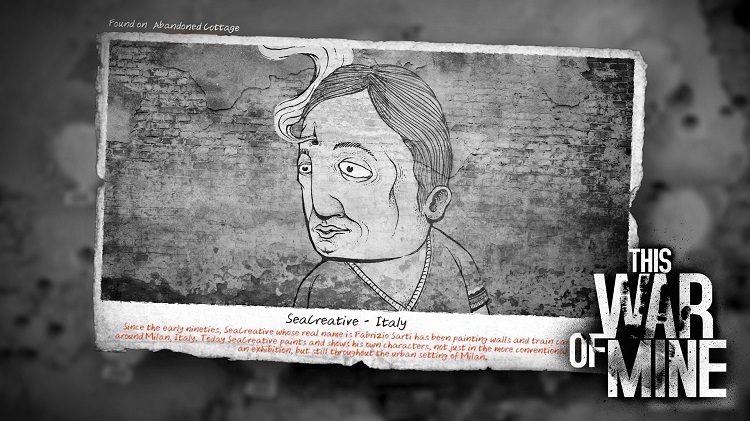 This War of Mine is a strategy wargame with a twist, the player is not a soldier on warpath to victory but is instead a civilian caught in between two sides. Set in a fictional story during the Siege of Sarajevo during the Bosnian war, the game has players scavenging for food and supplies, while making some very difficult choices. From this, the War Child DLC was published on 10 March to raise funds for a charity campaign. The DLC itself doesn’t add any new mechanics to the base game, but instead features street art pieces that can be discovered. A new achievement accompanies the new art, but that is all there is. The DLC is being sold at three price points (RM3, RM23, and RM38), all of which provide the same amount of content. The idea is for people to donate as much as they feel comfortable, as all of 11bits proceeds from the sale of the DLC goes to the charity campaign. War Child DLC is still available on the Steam store, although it is scheduled to be taken down later today. Those who still want to contribute can visit the Steam page and donate. This is admittedly a very convenient way to raise funds, and 11bit is promising that it will have other charity campaigns in the future.